Just 25% of S&P 500 companies have two or more women on their board of directors. For women looking to become a CEO one day, it’s a big problem. Because if there aren’t women on the board to make the case, odds are good it’s not going to happen. “It’s complicated when you look at the board, but we have to appreciate the incredible influence that they have in determining who is going to be that CEO-level role, and notably, if they stay and how successful they are,” said Catalyst senior director of research Anna Beninger recently. 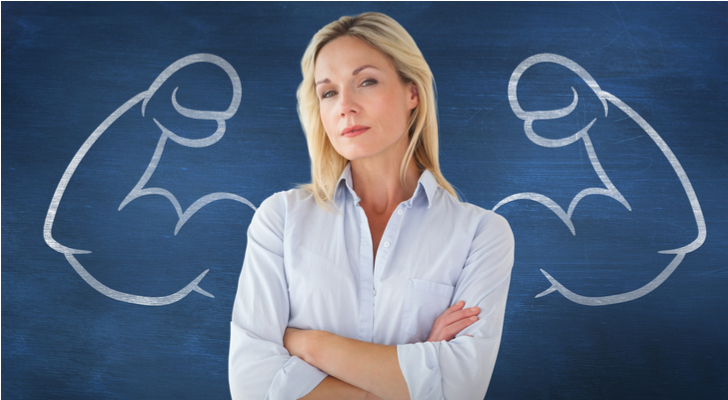 One suggestion Beninger has for improving the odds of women being installed on corporate boards is the introduction of term limits, which would reduce the number of career board members while also lowering the average age. There are a lot of talented female business executives out there who should be serving on S&P 500 boards, a stepping stone to CEO. For anyone who believes women can make good CEOs and wants to see more women given a chance in the role, a first step would be to invest in those S&P companies that have at least two women on their board. And make sure to keep an eye out for strong companies with a woman installed as chief executive. As such, here are my seven S&P companies with women as CEOs to own for the long haul. Hershey Co (NYSE:HSY) has a total of five women on its 11-person board, a 45% participation rate. If you know anything about Hershey’s history, this isn’t a surprising number, but it is heartening to know that the chocolate company not only doesn’t have a problem with a woman running the company — it also promotes from within. Michele Buck became CEO in March 2017 after occupying several executive positions for Hershey, most recently as COO. With the company for more than 12 years, Buck’s quarter century of consumer packaged goods experience makes her an excellent choice to lead the company. Only in the job a little more than a year, it’s too early to say how she’s doing, but it’s safe to say the December 2017 acquisition of Amplify Snack Brands — makers of Skinny Pop snack foods — for $1.6 billion suggests she’s ready to shake things up at the iconic chocolate company. In 2018, Buck is focusing the company on cost containment to push margins higher, rather than on top-line sales growth. It expects to generate full-year adjusted earnings of at least $5.33 a share. With HSY stock down 18% over the past year, Buck has got her work cut out for her. With it trading lower than it has been since 2016, I like the value play here. Ventas, Inc. (NYSE:VTR) has a total of three women on its 10-person board, a 30% participation rate. Of the seven women on this list, Ventas CEO Debra Cafaro has been on my radar the second longest. I first wrote about Cafaro and the Chicago-based healthcare REIT in October 2016. Cafaro had just come off her third consecutive year being named to Harvard Business Review’s list of the 50 best-performing CEOs in the world. Naturally, Murphy’s Law set in shortly thereafter, and Ventas stock took a tumble. When I recommended Cafaro and VTR stock, it was trading around $68. Today, it’s down 19% to around $55. Not deterred, in February, I called Ventas one of seven REITs to own in good times and bad. I felt like Ventas had been through a tough two-year stretch where the company was selling certain assets to focus on those properties and businesses that would deliver the best returns for shareholders. Moving forward, Ventas will have strengthened its balance sheet while transitioning 70 of its private pay seniors properties to Eclipse Senior Living, a new high-quality seniors housing operator run by Kai Hsiao, a veteran executive in seniors housing. Cafaro sees 2018 being a strong year for the company, and with a track record like hers, it’s hard to argue. VTR is down but definitely not out. Ulta Beauty Inc (NASDAQ:ULTA) has a total of six women on its 12-person board, a 50% participation rate. It’s not surprising that a retailer that goes by the catchphrase, All Things Beauty. All in One Place, would have an exceptionally high female participation rate on its board. I’m sure they have male customers as well, but if you’re largely catering to women, you’ll do better to have a lot of women on the board and in senior management. Mary Dillon is another CEO I’ve been a fan of for some time. Here’s what I said about ULTA back in 2014 when discussing three retail stocks investors should consider buying. At the time, ULTA was trading around $88. Today, it’s around $250, but down significantly from its all-time high of $314.86 on concerns its sales were slowing. It happens in retail. Things go in cycles. However, the company continues to do a great job balancing its brick-and-mortar business with online sales, and that’s what will continue to keep Ulta growing. This is a great stock to buy on dips and hold for the long haul. Kohl’s Corporation (NYSE:KSS) has a total of four women on its 11-person board, a 36% participation rate. Michelle Gass joined the department store in 2013 as chief customer officer after 16 years at Starbucks Corporation (NASDAQ:SBUX). In 2017, Kevin Mansell announced he would retire after the company’s annual meeting in May 2018 and Gass would take the reins after that. It has been a fast start for Gass, who hired a chief merchandising officer in early May to take on some of the work she’s been handling and then held her first earnings call on May 22 delivering a beat on both the top- and bottom-line. Kohl’s established its greatness agenda in October 2015. It’s a multiyear plan that based on five major objectives including providing customers with amazing products, a world-class digital experience, accelerate personalization and promote its loyalty program, save its customers money, and develop great teams to drive its business. If you consider where Kohl’s was in 2015, the retailer has come along way. It’s spending a significant amount on its digital business, including building state-of-the-art fulfillment centers while continuing to grow its loyalty program including launching its next generation in 100 stores across eight of its markets. It expects to roll it out to all of its stores in 2019. All of this progress is a big reason its stock is up 45% year to date through June 11. Progressive Corp (NYSE:PGR) has a total of five women on its 11-person board, a 45% participation rate. Another relatively new CEO, Tricia Griffith became CEO in July 2016 after working her way up the corporate ladder over the past 29 years with the insurance company. Anyone’s who’s seen Progressive’s ads knows it has a sense of humor, but the company has been ahead of the curve in many ways, including gender diversity. Not only is the CEO a woman, but so too is the chairperson, Lawton Fitt. That makes Progressive the only company in the Fortune 500 with a female in both positions. “Progressive is only the third company since 2008 with two women in those roles, following Hewlett Packard Enterprise (CEO Meg Whitman and chairwoman Patricia Russo) and Duke Energy (CEO Lynn Good and chairwoman Ann Gray),” Quartz magazine reported May 24. That’s an incredibly depressing number for anyone looking for a change in corporate America. Nonetheless, the company continues to do a great job delivering profitable growth. In the first quarter of 2018, Progressive grew net premiums earned by 21% with a combined ratio [Incurred losses + Expenses divided by Earned Premium] of 89.9% with a 33% increase in net income. I like what I’m seeing from Progressive. KeyCorp (NYSE:KEY) has a total of five women on its 16-person board, a 31% participation rate. That might not sound great next to ULTA at 50%, but when you consider that just 25% of S&P 500 companies have two or more women directors, it’s a respectable amount. Not only is Beth Mooney the CEO, she’s also the chairman, one of the few women to do so. Both Forbes and Fortune have named her in their annual lists of most powerful women. Mooney has been at the banking game for more than 35 years, taking almost three decades to get to the top spot on May 1, 2011. I guess that’s what you want in a banker: patience and resilience. Since Mooney has been CEO and chairman, KEY stock has more than doubled from less than $9 to almost $21 today. 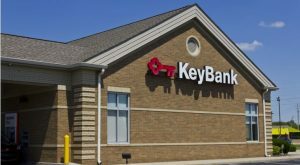 Key Corp.’s Q1 2018 results released in mid-April saw the bank increase net income to $402 million, 36% higher than in the same quarter. Highlights include an 8% increase in commercial and industrial loans and 14% increase in investment banking fees. Currently yielding 2.3%, KeyCorp isn’t out of place with the biggest banks in America. Long-term, KeyCorp will deliver for investors. Ross Stores, Inc. (NASDAQ:ROST) has a total of two women on its 11-person board, an 18% participation rate. I really didn’t want to put Ross Stores on my list of women-led S&P 500 companies because a retailer that has a significant female customer base should really have more than two women on its board. However, CEO Barbara Rentler has done a great job running the discount retailer; at the end of the day, investing is still about making money. Since she took over as CEO in June 2014, ROST is up 150% compared to 21% for the SPDR S&P Retail (ETF) (NYSEARCA:XRT). Despite intense competition, Rentler continues to push Ross Stores higher. It announced its first-quarter results May 24 and despite horrible weather it managed to deliver same-store sales growth of 3%, the same same-store sales growth in Q1 2017. If you’re a fan of stock buybacks, Ross is on track to repurchase $1.1 billion of its stock in fiscal 2018. Thanks to the lower tax rate, it expects earnings to be at least $3.92 a share, 10% higher than the $3.55 it earned in fiscal 2017. It’s not the cheapest stock by any means but it’s still one of the best to own as long as Americans are interested in low prices. Article printed from InvestorPlace Media, https://investorplace.com/2018/06/7-women-led-sp-500-companies-to-own-for-the-long-haul/.